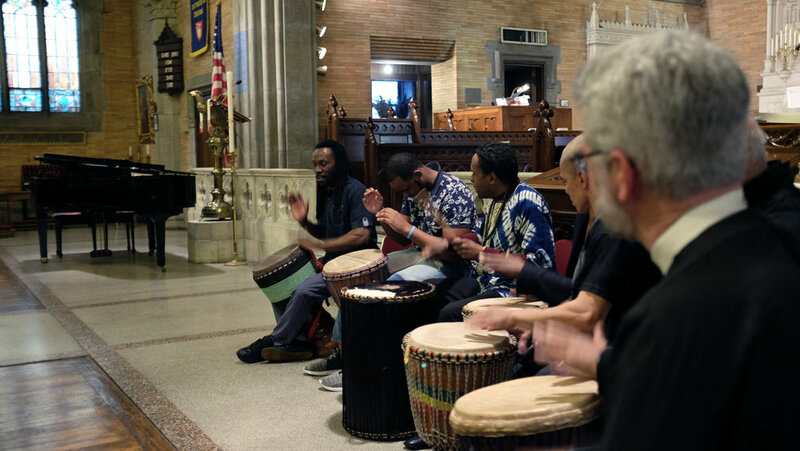 In April a remarkable interpretation of the oldest song in the world was performed during a recital at Saint Philip's Church in Harlem that combined the spirit and lyrics of the ancient Hurrian hymn with contemporary vocal arrangements, traditional choir singing, African drumming and gospel-style piano. As part of . 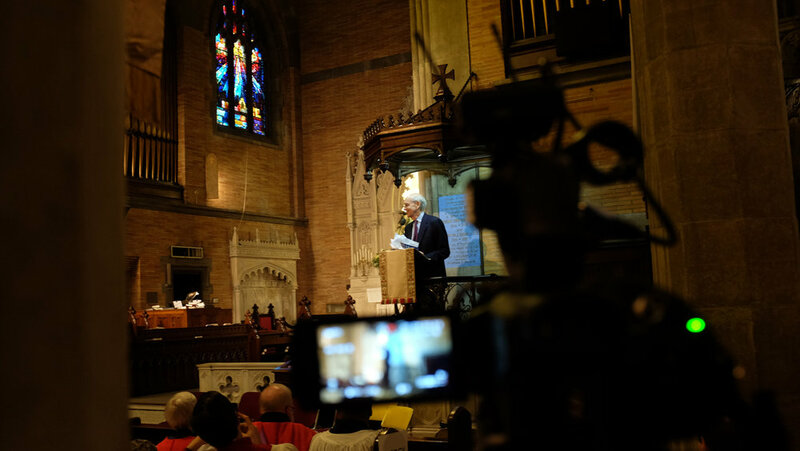 . . circle through New York this month Punjabi TV network Jus Broadcasting is shooting episodes of its shows at the St. Philip's Church in Harlem. Watch this episode of their topical show Honestly which asks members of the St. Philip's congregation questions such as: How do you feel about the abuse against minority citizens in America? What's your view of interracial relationships? If African Americans and Indians had a dance-off who would win? 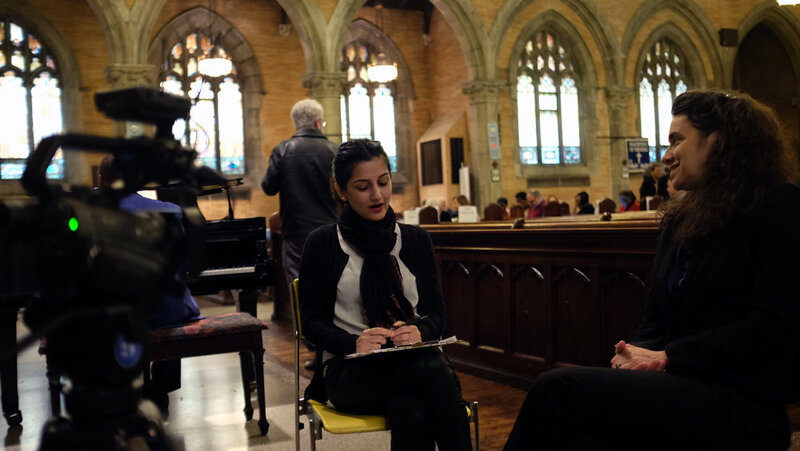 Jus Broadcasting's Punjabi news show Ajj da Mudda talks with St. Philip's Rev Chloe Breyer about interfaith work before the Thurgood Marshall Law Day program which featured Supreme Court Justice Stephen G. Breyer. The oldest song in the world was performed before Sunday services in March at Saint Philip's Church. On Autumn of 2015, while I was studying Architecture in Barcelona, Dr. Pedro Azara, a professor of mine with whom I had been lucky to work on several projects, was curating an exhibition with Dr. Jennifer Y. Chi at the Institute for the Study of the Ancient World, in New York. It was called From Ancient to Modern: Archaeology and Aesthetics. 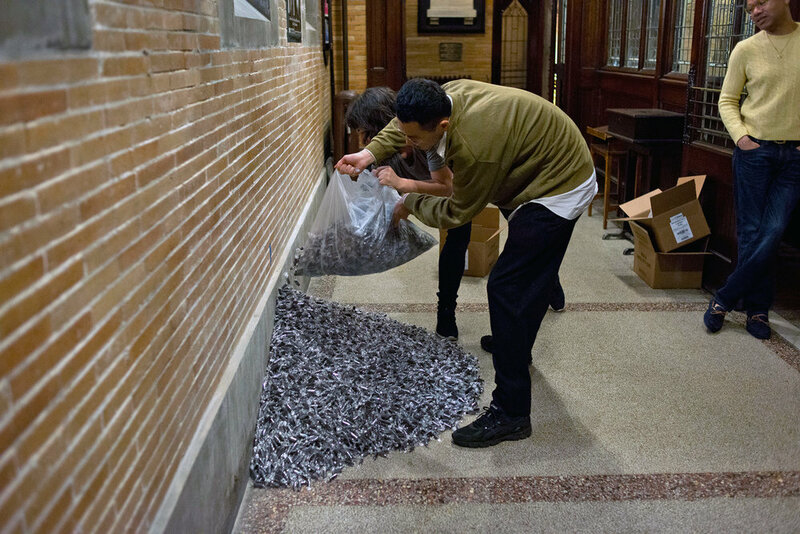 Jennifer and Pedro came up with the idea of reinterpreting “the oldest song in the world” to then put it on display in the exhibition. Pedro knew that I was a singer so they offered me the opportunity to sing it. It was called “A Hurrian cult song from ancient Ugarit” dating from 1400 BC. I have always been very interested in history and being able to mix it with my passion, music, was rather unusual. I immediately said “yes”. How could anyone refuse it? I read all that I could find about the song and about music in ancient Mesopotamia, I talked to my singing teacher about it and tried different approaches to it. I finally decided to do an objective, and neutral interpretation of it and I recorded it in my studio. Later, I was invited to NY by the ISAW, to perform the song live the day of the exhibition inauguration. By that time, I had read more about the song, I had sung it many more times and put more thought in it. That day I sang a different interpretation, a more personal one. After a year, Jennifer Y. Chi contacted me: a couple of artists, Lenka Clayton and Jon Rubin, were interested in the song and they wanted it to be part of a project called . . . circle through New York. Joan Borrell was born in Barcelona, Spain. Music has always been a very important part of his life. He was classically trained in violin (from ages 3 to 12) and viola (from ages 13 to 16) as well as in music theory and composition. He as studied classical and modern singing since I was 17 years old. He regularly plays in a pop band and owns a recording studio in Barcelona. Joan is a member of the international archaeological team from the Sorbonne University in Qasr Shamamok, Erbil (Iraq) since 2013. I performed and recorded the ancient Hurrian song “Hymn to Nikkal” to be displayed in the exhibition “Archaeology and Aesthetics” at the ISAW (2015). I also performed the Hymn live on the inauguration day of the exhibition. He volunteers in an orphanage in Kathmandu, Nepal, since December 2015, training children to sing and doing architectural rehabilitation work on the orphanage building. 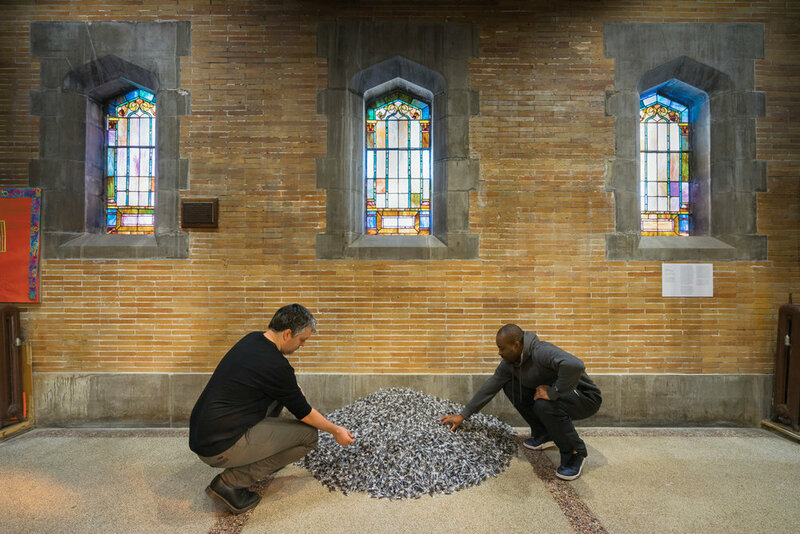 A Museum Artwork, "Untitled" (Public Opinion) by Felix Gonzales Torres, is installed at St. Philip's Church throughout March. Visit the church to meet members of the congregation and vestry and to view the artwork. 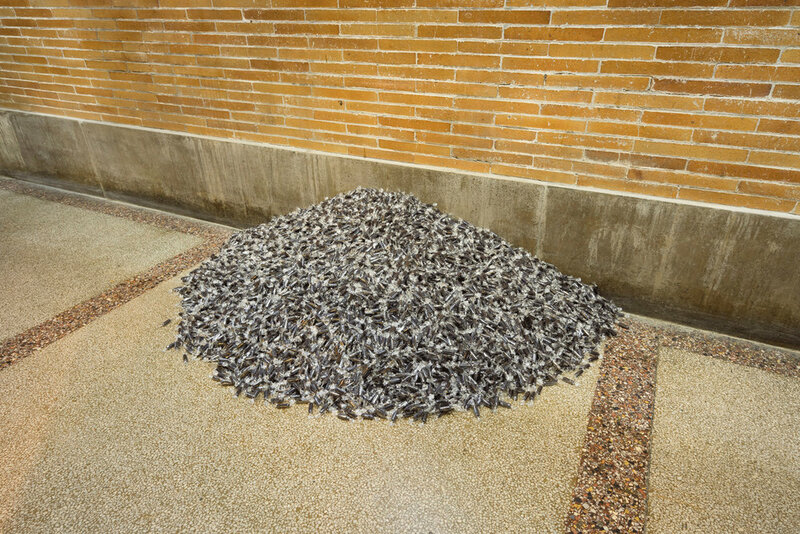 “Untitled” (Public Opinion) is a 1991 work by Felix Gonzalez-Torres consisting of a large quantity—ideally 700 pounds—of individually wrapped licorice candies, which are poured directly on the floor, usually in a pile or flat rectangle, and available for viewers to take and eat. 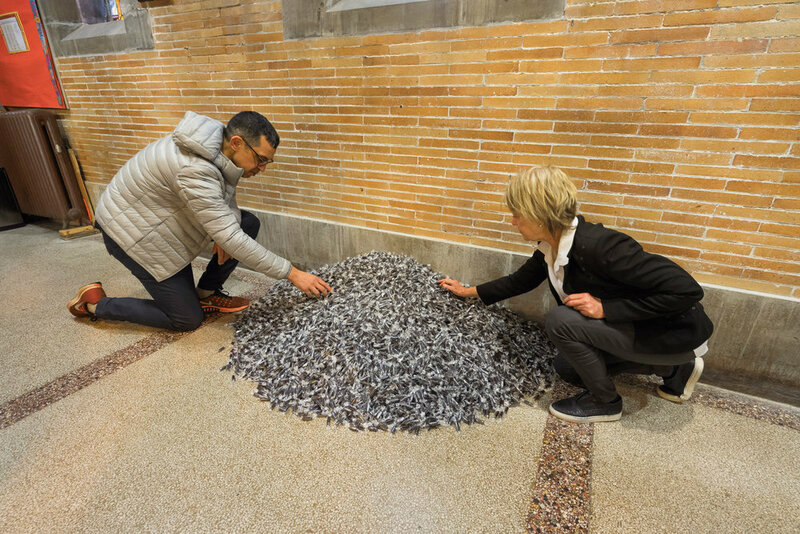 As this artwork travels around the circle, it will be installed by a team of museum professionals in response to the architecture of each site. This is the first time it has been exhibited outside of the context of a museum or gallery. We are a band of faithful Christians who organized in 1809 to worship in a non-segregated church and to educate, socialize, and recognize the African-American contribution in all of society. There was--and persists today--fear, ignorance, greed, and wilful discrimination that hurts many in our midst. We fervently ask that all who hear our story take action against these injustices, including self-examination of your own participation in discrimination and injustice. Always be just as ready to listen as you are emboldened to speak out for or against others. This call to action will rotate around the circle, being interpreted by each venue in turn according to their own communities and capacities. 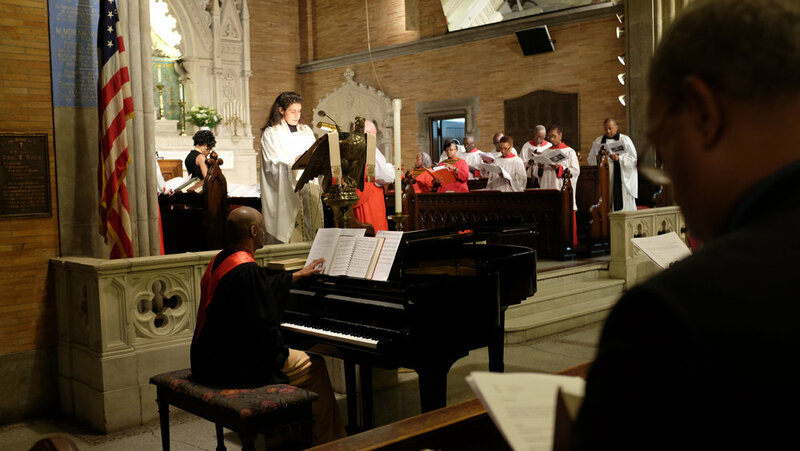 Celebrating 208 years in 2017, St. Philip’s Church was founded in 1809 and is the second oldest Episcopal Church in the United States to be organized and led by African Americans. A hallmark throughout its history has been its continuous role in the struggle for justice and well-being. From inception, St. Philip’s, through its strong clergy and lay members, have played a critically important role as abolitionists, anti-lynching and anti-Jim Crow demonstrators and activists, facilitators of mental health care services to black and poor people (when there was none available), and as community housing developers. 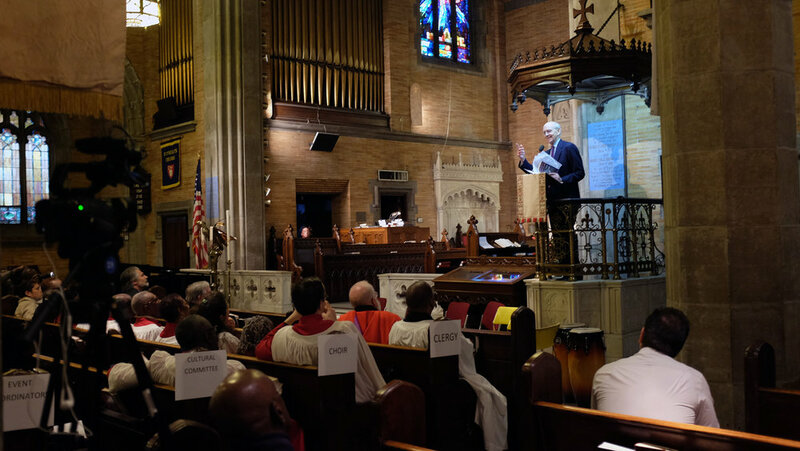 The Legacy extends through the current time with the church’s work around issues of justice for the formerly incarcerated, among other areas. 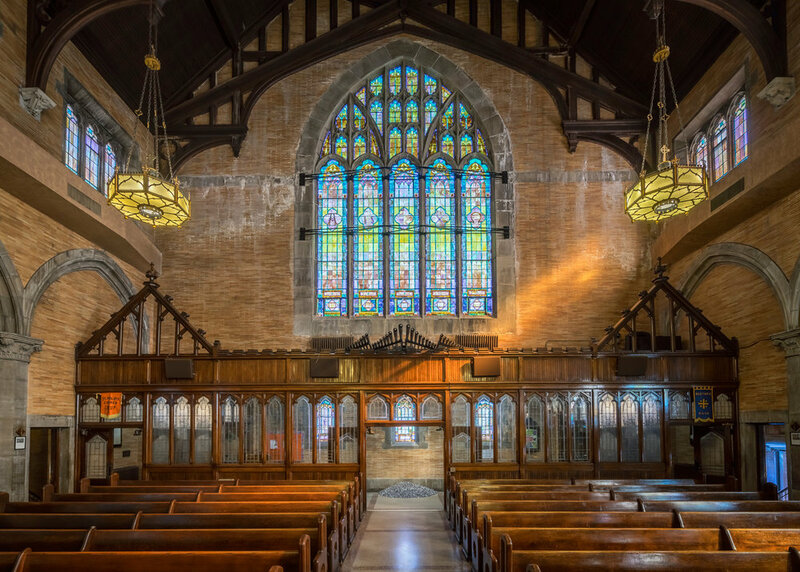 It should also be noted that St. Philip’s Church served as the spiritual home for the former Supreme Court Justice Thurgood Marshall during the time that he worked on and won several landmark cases as head of the NAACP Legal Defense Fund. Designated a landmark building in 1993, the church’s current structure was designed and built by the African American architecture firm of Tandy & Foster in 1911. 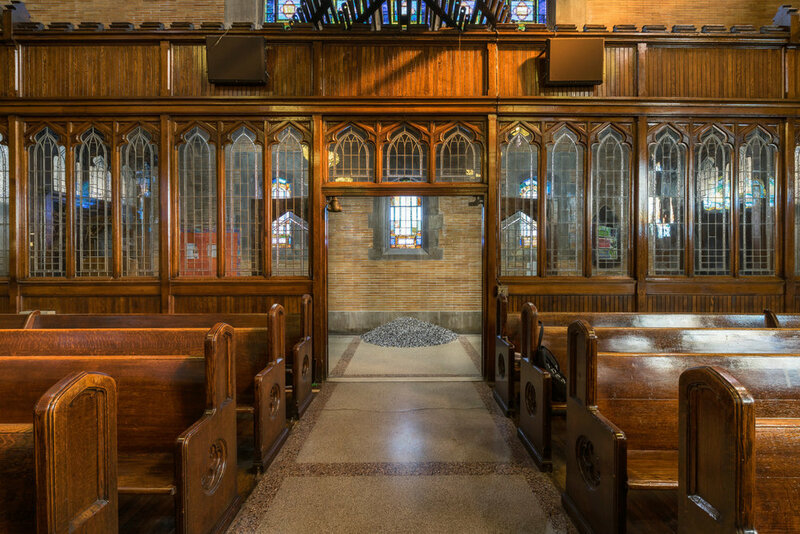 Vertner Tandy, the first African American licensed architect in New York state, was also a member of St. Philip’s Church. 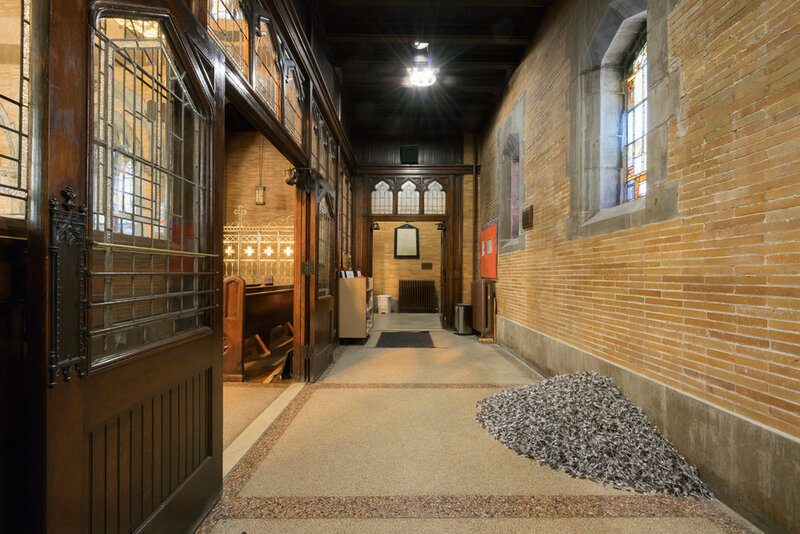 Over the years the beautiful architecture and wonderful acoustics of the church have made it an ideal home for great theatre productions, musical performances, and art exhibits. Through these various mediums St. Philip’s has sought to minister holistically to mind, body, and spirit of both individuals and the wider community.